The bog turtle is a semi-aquatic turtle that is native to the eastern part of the United States of America. It was first described by Johann David Schoepf in 1801 after a survey conducted in Pennsylvania during the 18th century. 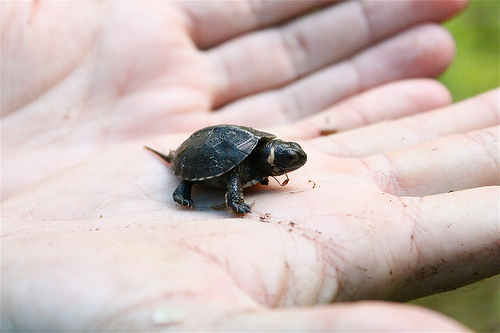 This creature is the smallest turtle in North America. It measures only 10 centimetres (4 inches) when it is fully grown. Although it has a similar appearance to the spotted or painted turtles, its closest relative is actually the larger wood turtle. 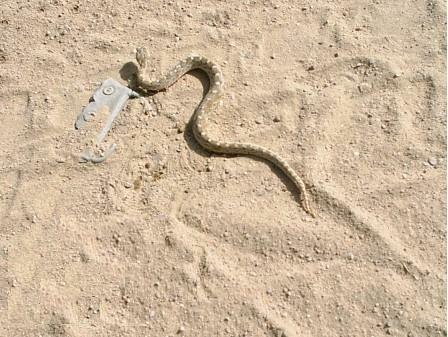 They weigh only 110 grams (3.9 oz) on average. 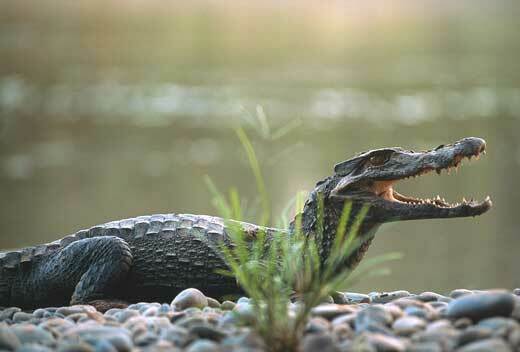 They have dark brown skin and shells, but have a distinctive orange spot on each side of the neck. As mentioned above, the bog turtle is only endemic to the eastern United States. They congregate in colonies that consist of about 20 individuals or less. 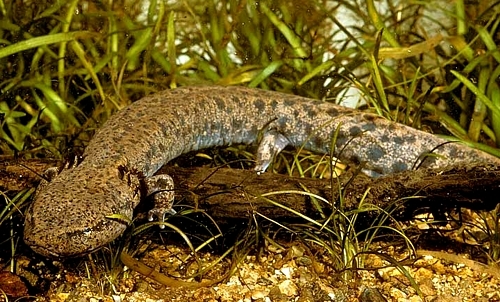 They prefer calcareous wetlands which are areas that contain lime, such as bogs, meadows, spring seeps, and marshes. Their habitat is often at the edge of woodlands, and they have sometimes been seen in cow pastures as well as near beaver dams. The bog turtle is protected under the United States Federal Endangered Species Act. This is because it is categorised as being threated in the states of Pennsylvania, New York, New Jersey, Massachusetts, Maryland, Delaware, and Connecticut since November 4, 1997. They are also threatened in North Carolina, South Carolina, Georgia, Tennessee and Virgniia. 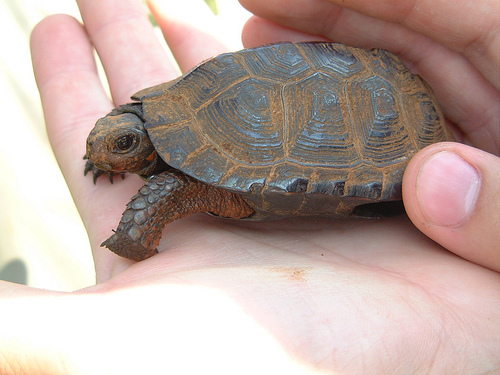 Some states in the south consider the bog turtle as either threatened or endangerd. This is because the changes to the bog turtle’s habitat has disappeared within the past 30 years. As it is now rare, it is also in danger of being collected illegally for the worldwide pet trade despite regulations to stop collection, bartering, or exporting. Road traffic has also led to the decline of these animals. Fortunately, the U.S. Fish and Wildlife Service has created a plan to recover the northern bog turtle population. One of the main reasons of the bog turtle’s population decline is actually the invasion of non-native plants into it shabitat. Several plants disturb its current ecosystem, particularly the purple loosestrife and reeds. This is because these grow thick and tall, and are thought to hinder the turtles’ movement. Another reason for the declining bog turtle’s population are the housing and road developments. This is due to the fact that it obstructs the bog turtle’s movements between wetlands and therefore inhibits bog turtles to establish new colonies. Runoff, pesticides, and industrial waste are also harmful to the turtles’ habitat as well as its food supply. Today, the bog turtle population depends on human intervention. Their population is currently monitored via meticulous land surveys via visual and remote sensing methods. This is done to classify whether or not a wetland is suitable for a new bog turtle colony. Several private projects have been conducted to attempt the limit of housing and road developments encroaching on the trees and bushes, as well as any other potential man-made and natural threats.